Emil R. Capita (1900-1986) suffered with a hearing disability until Dr. Jules G. Waltner, an otolaryngologist at Columbia Presbyterian Hospital in New York, successfully restored his ability to hear. This recovery inspired Emil, and in 1985 he formed the Emil Capita Charitable Foundation, a 501(c)(3) nonprofit organization dedicated to funding hearing research at Columbia University. 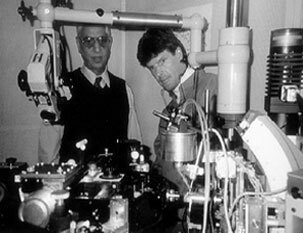 With modest endowment from its founder, the Foundation funded a long-term project to design and construct a heterodyne interferometer microscope. The microscope served continual research purposes in a Columbia University lab under the direction of Shyam M. Khanna, Ph.D.
By 2004, the majority of the Emil R. Capita Charitable Foundation board had agreed to form a new 501(c)(3) nonprofit corporation. With the goal of providing financial support to scientists conducting novel hearing research – regardless of university or nonprofit research facility affiliation – Capita Foundation was born. Using a combination of networking and grant advertising publications, Capita Foundation has funded some of the most cutting-edge hearing research projects in the country with $10K to $40K grants. Each year, we continue to fund hearing research projects, prioritizing those with high clinical application potential. Emil R. Capita, a self-educated electrical engineer, was indirectly involved with many of the life-changing inventions during the past century. Projects Emil touched include devising a method of melting large quantities of uranium, which enabled the United States of America to win the nuclear arms race, and the design and production of one of the first Epitaxio Reactors used by Texas Instruments to fabricate some of the first silicon wafers for computer chips. Emil spent much of his life at his North Bergen, New Jersey-based company, Ecco High Frequency Corp. 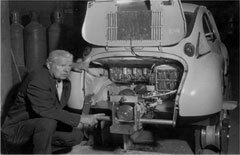 There, he designed and produced high-frequency production heating equipment for melting precious metals and tinkered with other ideas, including a 1966 electric car that traveled over 60 MPH. Emil, often buried under piles of blueprints, mathematical tablets, drafting instruments, and so on, would cast aside everything at the mention of the word "boat." 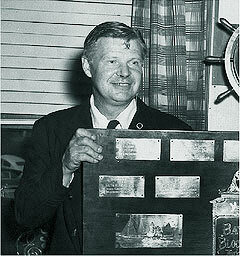 Emil, or "Capy" as he was called by friends and associates, had a passion for yacht racing. He owned several racing sailboats, including the Hi-Q II designed by Phill Rhodes. 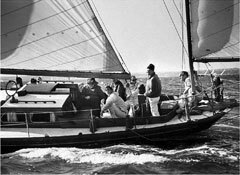 He had a monel frame structure and centerboard case built in his North Bergen factory and a double-planked mahogany hull built by Seth Pearson in Old Saybrook, CT.